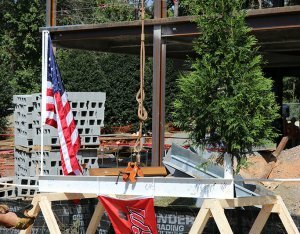 Sciences Building at Winston-Salem State University Tops Out - Rodgers Builders, Inc.
On Tuesday, October 2, RodgersDavis celebrated the Topping Out Ceremony of the new Winston-Salem State University Sciences Building. 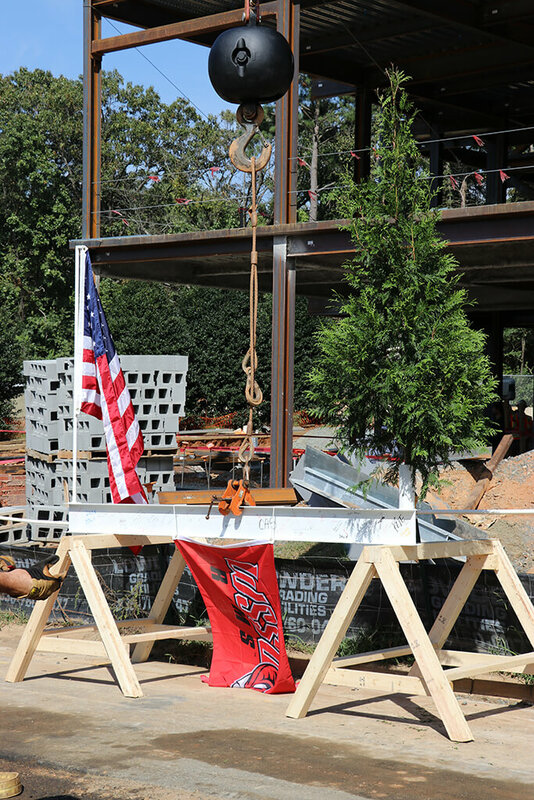 This celebration marked the milestone of reaching the building’s highest point of 76 feet. 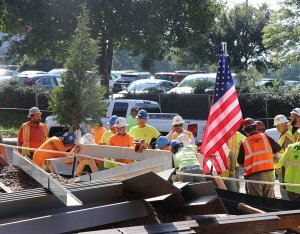 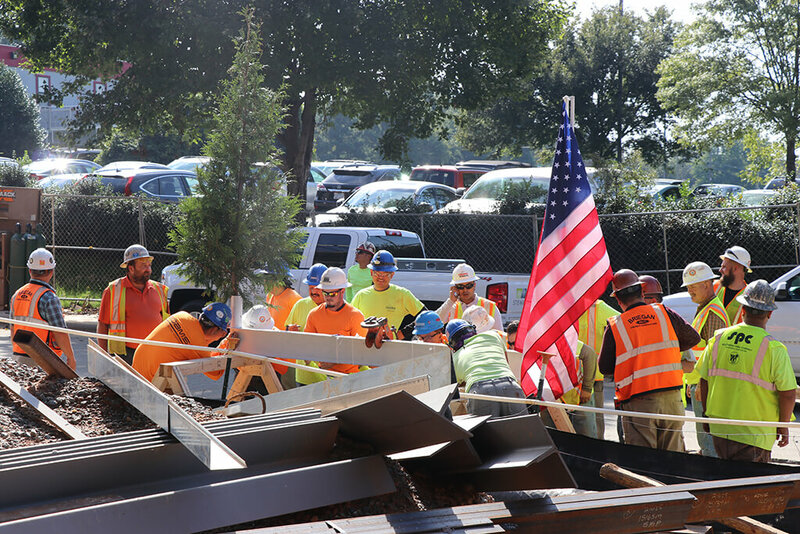 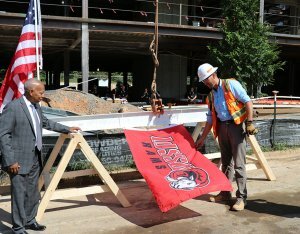 Per tradition, the ceremonial beam was painted white, signed by the project team and craftworkers and was hoisted to the top of the building along with a WSSU flag, an evergreen and the American flag. 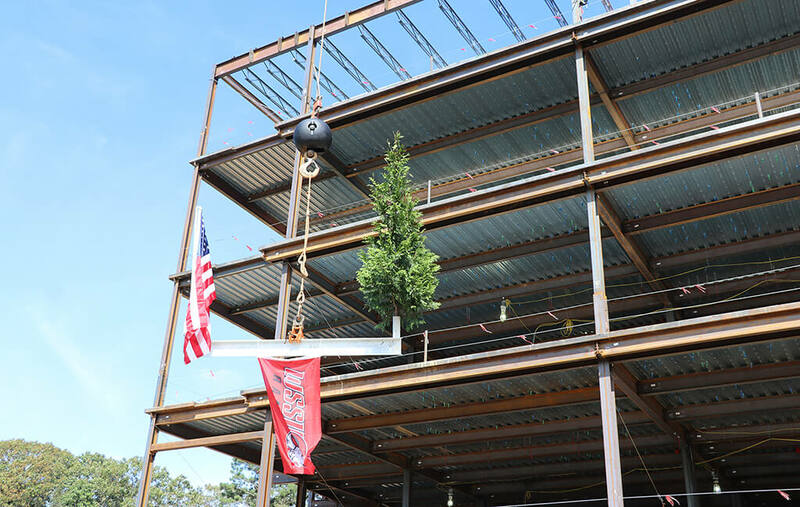 Legend has it that centuries ago, builders would hoist an evergreen tree to the topmost point of a structure to signal that a celebration was about to begin. 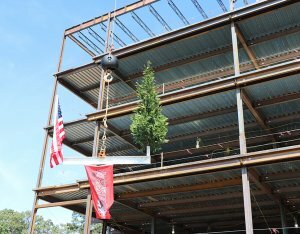 For RodgersDavis, the evergreen represents the official celebration of safely reaching the tallest point of the building’s construction. 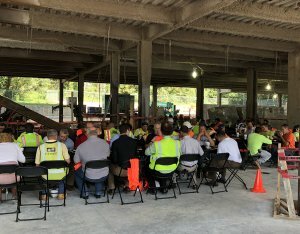 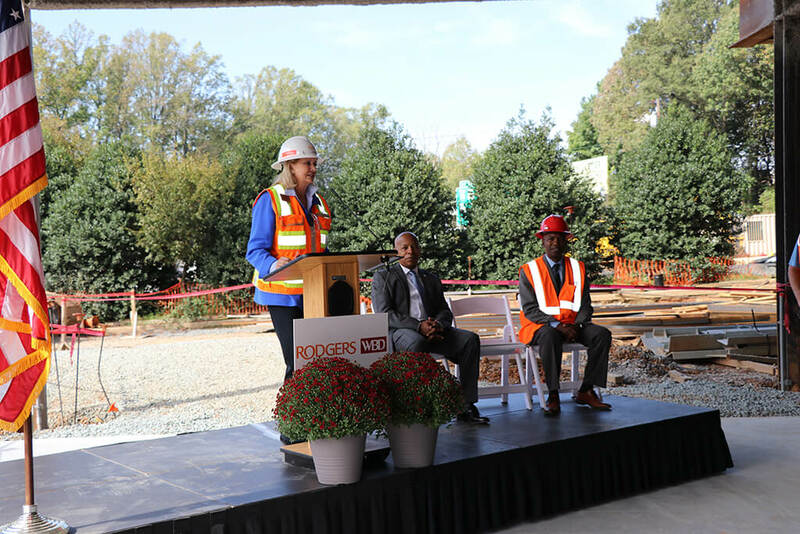 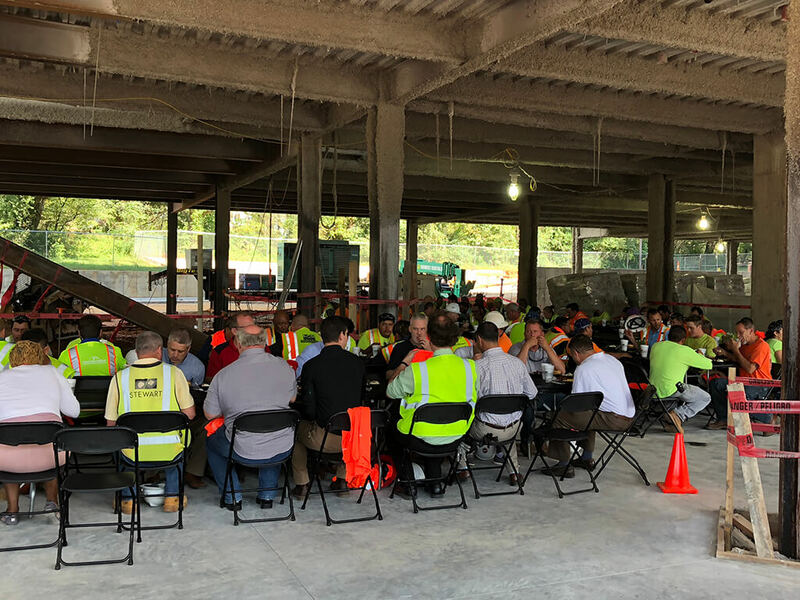 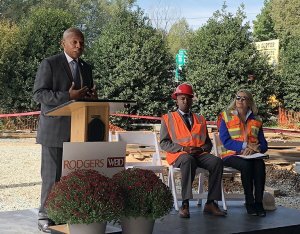 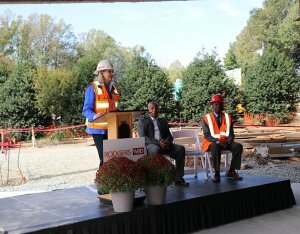 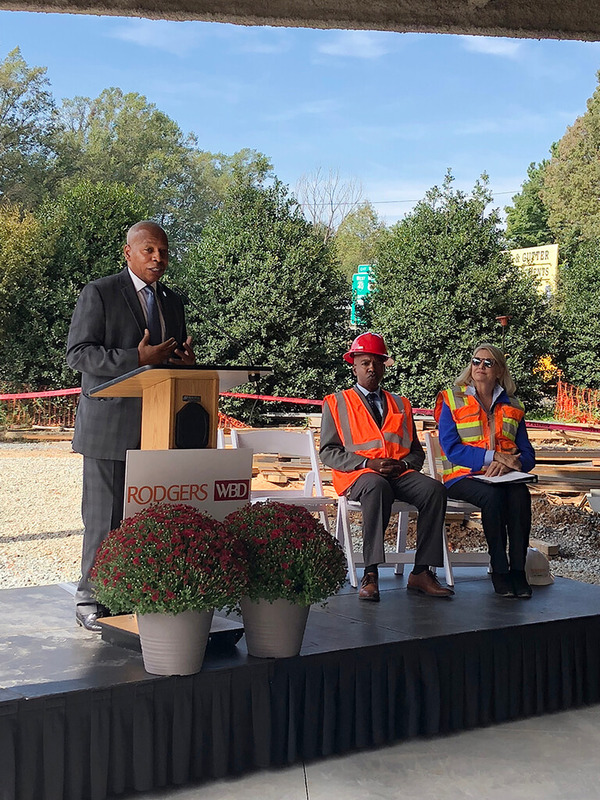 WSSU’s Chancellor Elwood L. Robinson, Walter B Davis CEO Walter Davis, and Rodgers President and CEO Pat Rodgers, all attended the ceremony, thanking the craftworkers for their hard work and dedication to safety on the project. 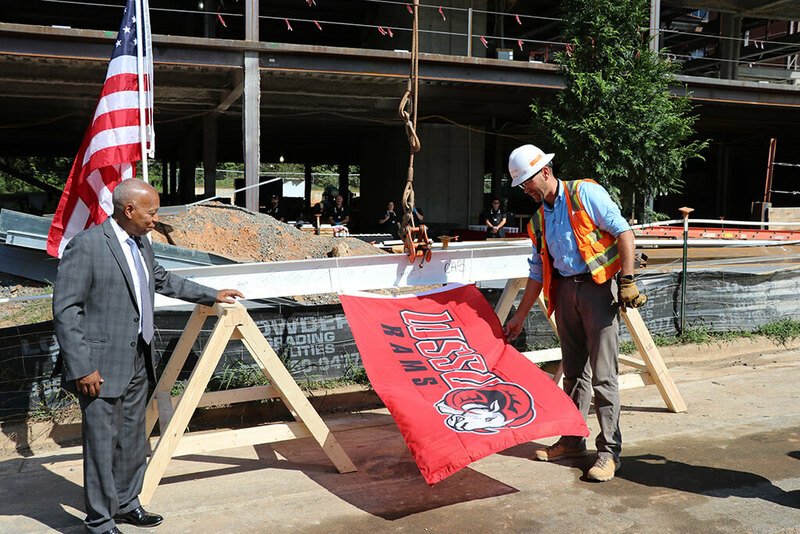 The $53 million WSSU Sciences Building is a highly anticipated project as the campus’s first project supported by The Connect NC bond, a $2-billion bond referendum that is financing capital and infrastructure improvement projects all across the UNC System. 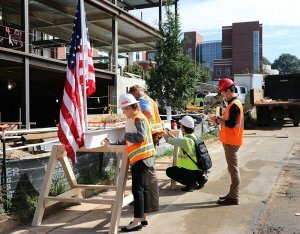 Once complete, the new 103,000 square-foot, five-story sciences building will serve as the anchor for the campus’s Science District, as a hub for innovation and collaboration for multiple science disciplines. 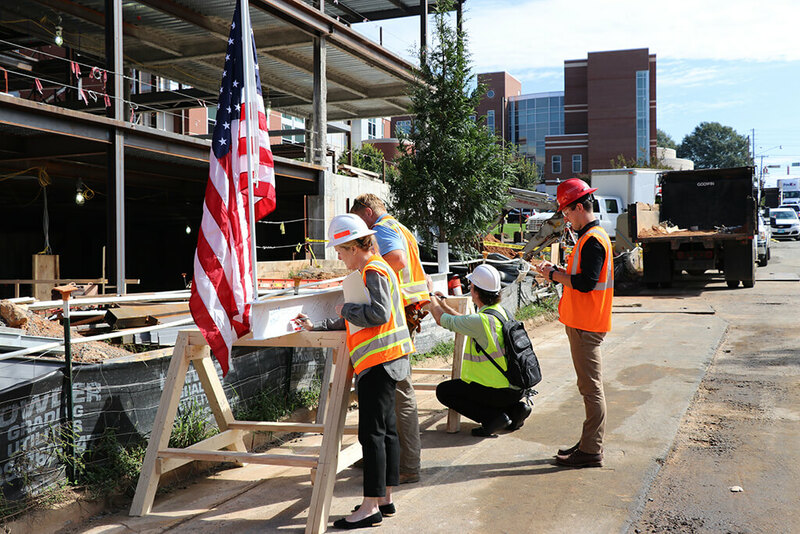 It features 52 laboratory and learning spaces, a new biomedical research laboratory, a maker space and flexible interactive and learning spaces to increase faculty and student collaboration.